Two top-notch singer-songwriters make their debut at the Rose Garden, and we couldn’t be more thrilled! Mixing seemingly effortless musicality and original storytelling, Grace Morrison turns deeply personal and historical stories into song for listeners from all walks of life. Following a ten year break from music, a career change, and two children, Lisa Bastoni has returned with her successful CD, “The Wishing Hour” (2017). 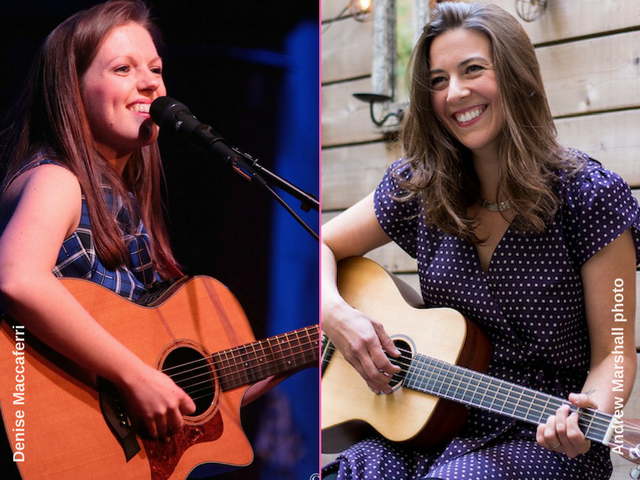 Top Boston-area singer-songwriters Lisa Bastoni and Grace Morrison will perform a split bill on Saturday, Oct. 20, 2018, at Mansfield’s Rose Garden Coffeehouse, one of the region’s longest-running venues, now in its 30th season. The Americana vibes and lyrics from Lisa Bastoni hit close to home. Songs like “Rabbit Hole,” grand prize winner of the Great American Song Contest, looks back on intimate memories and regrets while understanding the maturity that life has fostered. Or then there’s her search for redemption in “Wichita,” a look back on Midwest experiences. Either way, her vocals are powerful, her images vivid, her stories personal in nature. Bastoni, who has opened for Lori McKenna, Arlo Guthrie and others, will also showcase her skills in November at the New England Regional Folk Alliance conference. In 2017 she returned to the stage after a 10-year break from music, after a career change and having two children. She put out a popular CD, “The Wishing Hour,” produced by Grammy-nominated songwriter and producer Felix McTeigue (Anais Mitchell/Lori McKenna) and is going into the studio for her next project. 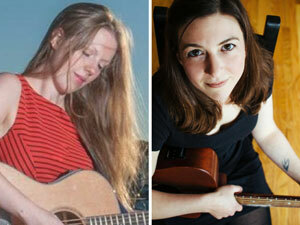 That CD, also being produced by McTieigue, will feature Folkways recording artists Lula Wiles and other special guests. The album will be released in early 2019. Mixing seemingly effortless musicality and original storytelling, Grace Morrison turns deeply personal and historical stories into song for listeners from all walks of life. “With a crystal clear voice and songs that land squarely in your heart, Grace has something truly special,” says producer/performer Jon Evans of Brick Hill Studios. And Evans should know, he has spent his career playing with the very best singer-songwriters of our generation: Tori Amos, Sarah McLachlan, Ben Folds and Paula Cole. 2017 was a turning point for Morrison as she released her first full length CD: “I’m The Apple.” The deeply personal album is full of catchy choruses, history, emotion and storytelling; all key elements of her unique style.